Time can sometimes act like a pressure cooker. Some thrive amongst the stresses of everyday life while others falter and fall behind. Most of us have experienced the soaring highs, jarring lows, and everything in between. Rob Reinfurt’s project, Night Marcher, he has said was created after a time where life had crippled him. His hiatus from music didn’t permanently hinder his passion and he picked up the pieces to conceive the album Modern Maze. 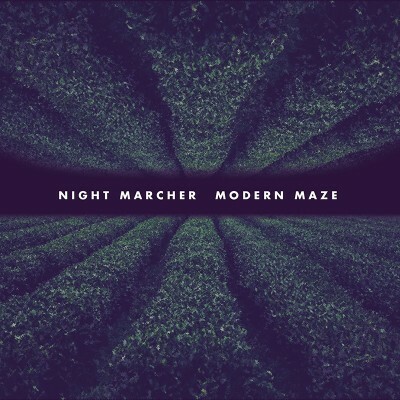 Modern Maze draws influence from both pop , indie rock, and blues to make an easy and balanced album. The record has one of fullest sounds out in Salt Lake City right now. Reinfurt’s use of classical piano, bongoes, and blues guitar make Modern Maze a admirable, local, rock and roll album. “Broken Path” carries elements of gospel within it. The song is so full and big, and the addition of a woman’s deep voice harmonizing in the background adds even more religious context. In “Chin Up” Reinfurt sings the reassuring words, “Chin up, it’s what you got to do. Chin up, trouble comes, trouble goes. We’ll get through.” Night Marcher is the resurrection of Reinfurt’s musical career and “Chin Up” is a quiet reminder to himself to keep pushing through.